Examples of bottles, ranging from 2 ounce sample bottles to gallon jugs. This is not a complete list of every bottle we have available, just some of the most popular styles and sizes. 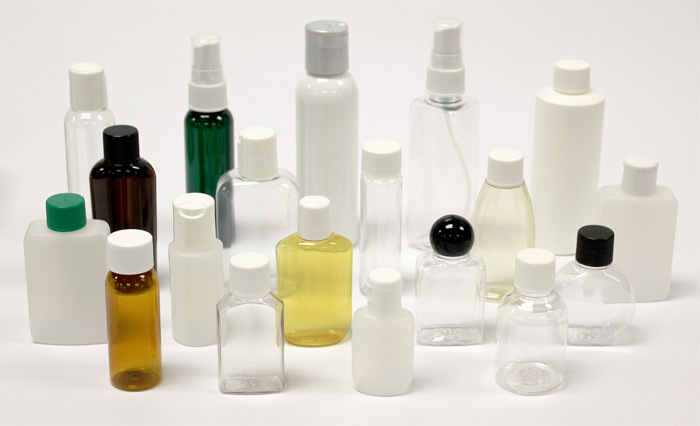 An assortment of bottles ranging from 1oz to 4oz with a variety of closures including disc-caps, flip-top caps and finger sprayers. This size bottle is commonly used for sanitizers, lotions, hand soaps, promotional purposes, body sprays and travel-size products. An assortment of bottles ranging from 4oz to 8oz with a variety of closures including disc-caps, flip-top caps and pumps. 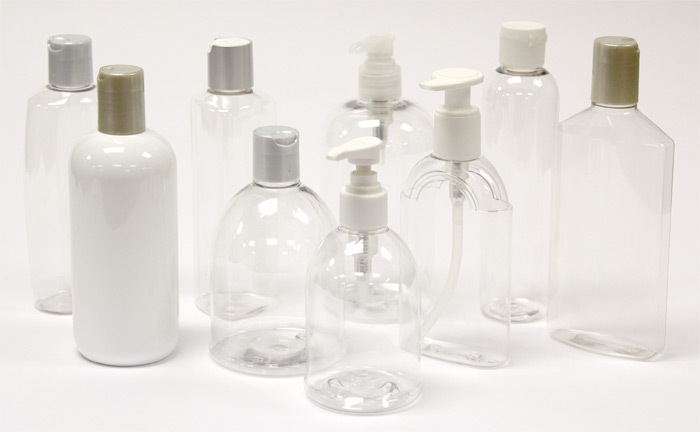 These bottle types are commonly used for countertop sanitizers, lotions and hand soaps. An assortment of bottles ranging from 8oz to 16oz with a variety of closures including disc-caps, flip-top caps, push-pull caps and foaming pumps. 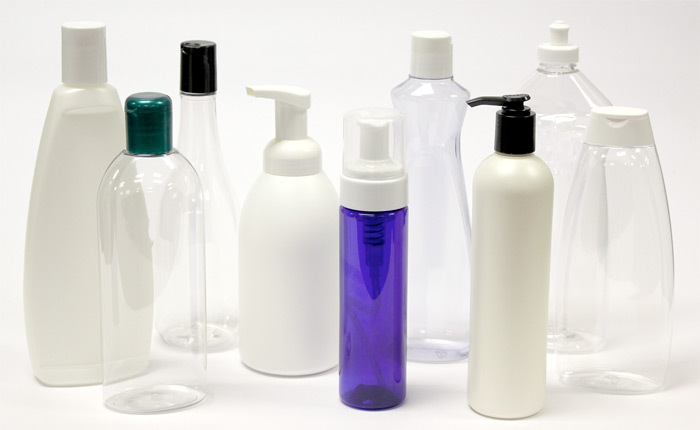 These bottle types are commonly used for bath products, sanitizers, lotions, hand soaps and dish soaps. An assortment of bottles ranging from 17oz to 48oz with a variety of closures including disc-caps, flip-top caps, push-pull caps and drain-back measuring caps. 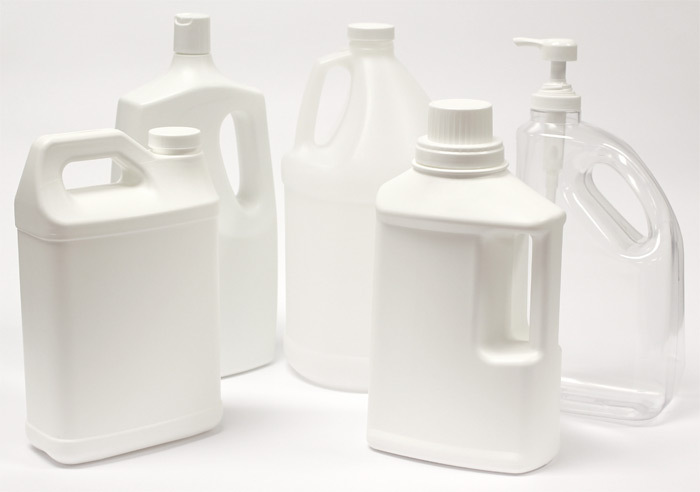 These bottle types are commonly used for bulk sanitizer refills, bulk hand soap refills, degreasers, general purpose cleaners, concentrates, laundry detergents and dish soaps. An assortment of bottles ranging from 64oz to 1 gallon with a variety of closures including disc-caps, screw caps, pumps and drain-back measuring caps. 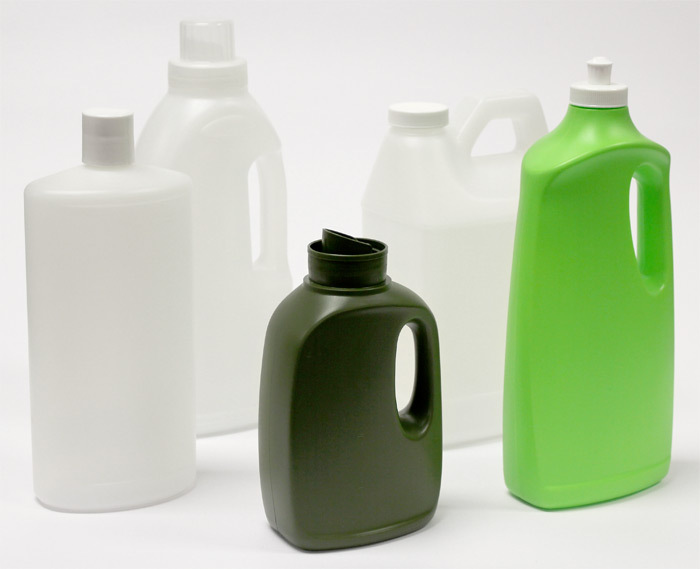 These bottle types are commonly used for bulk sanitizers, bulk hand soap refills, degreasers, general purpose cleaners, concentrates, laundry detergents and dish soaps. 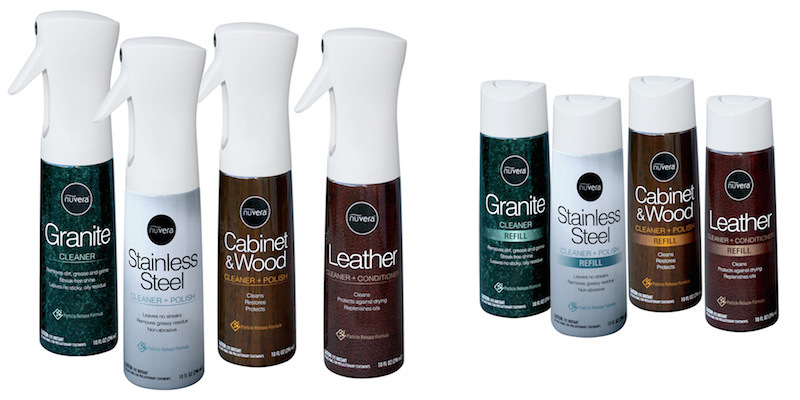 An assortment of bottles ranging from 16oz to 1 quart with a variety of trigger sprayers. 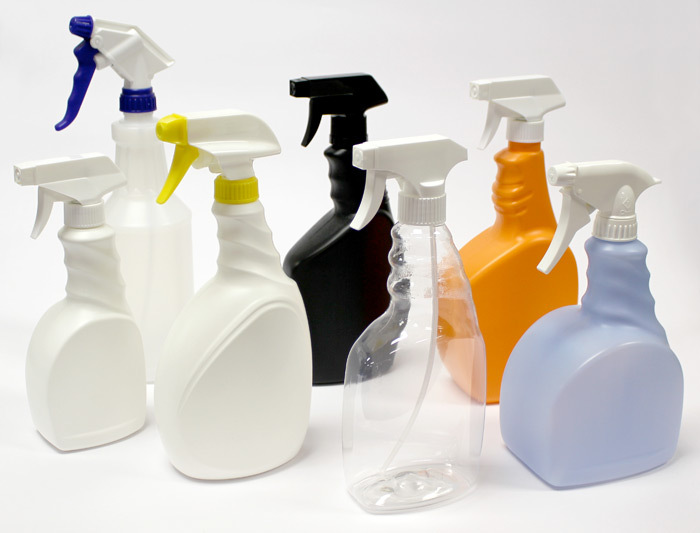 These bottle types are commonly used for all types of general purpose and specialty cleaning products. The fine mist sprayer is a non-pressurized propellant-free airless spray package with an aerosol-quality spray.